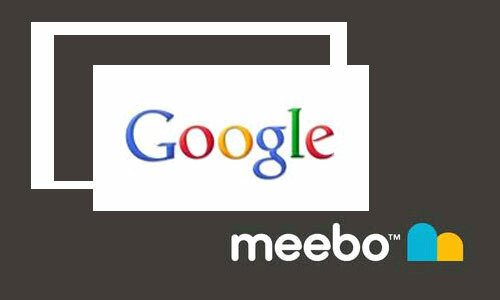 Search engine giant Google is near to buying the social platform Meebo with a price of $100 million, according to a technology related site. Google is in talks to acquire Meebo? AllThingsD site said, "The company has dedicated the past seven years to all sorts of different social products and customers. First it was a Web-based instant message client (that’s still live as Meebo Messenger). Then it launched the Meebo Bar for publishers to add a persistent social sharing and advertising overlay on their sites." But both company have not yet officially comment on the said issue. Meebo was build in the year 2005 by Sternberg, Sandy Jen and Elaine Wherry. Comments or suggestions about "Meebo to be bought by Google" is important to us, you may share it by using the comment box below.